Check back to this page soon as we are in the process of compiling a massive directory of the greatest Apple Stores around the world. We are being very selective in this process and only want to add stores that are cool, have an interesting story behind them, or perhaps the building itself has a unique history. Some cities have multiple stores, while in some countries there is only one to be found for the entire nation. 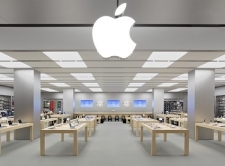 In the meantime, please enjoy our selection of the best Apple Stores in the world, which can be found by clicking on that previous hyperlink! These are actually some of the most beautiful buildings in the world. Enjoy!